I wore this dress out last night to celebrate a friends birthday and I have to say I am kind of in love with it. It is really different from what I usually wear a little bit edgier than normal. 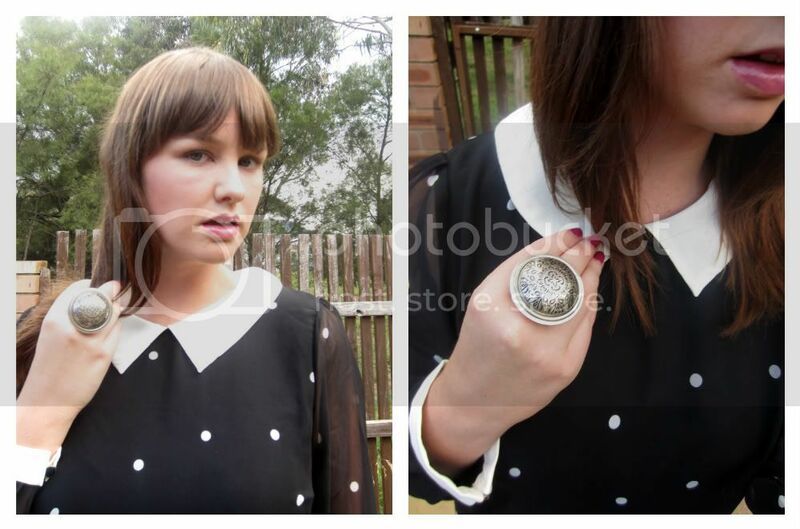 Plus like half of the blogoverse I am loving cute collars at the moment so this dress also ticks that box. How has your weekend been? I feel like I haven't achieved that much except for lots of housework, yuk. I also went shopping with Brendan for a new fishing rod which he has been playing with ever since. We are meant to be going to a short film festival this weekend but the storm clouds around our house are looking pretty threatening so fingers crossed we make it there. 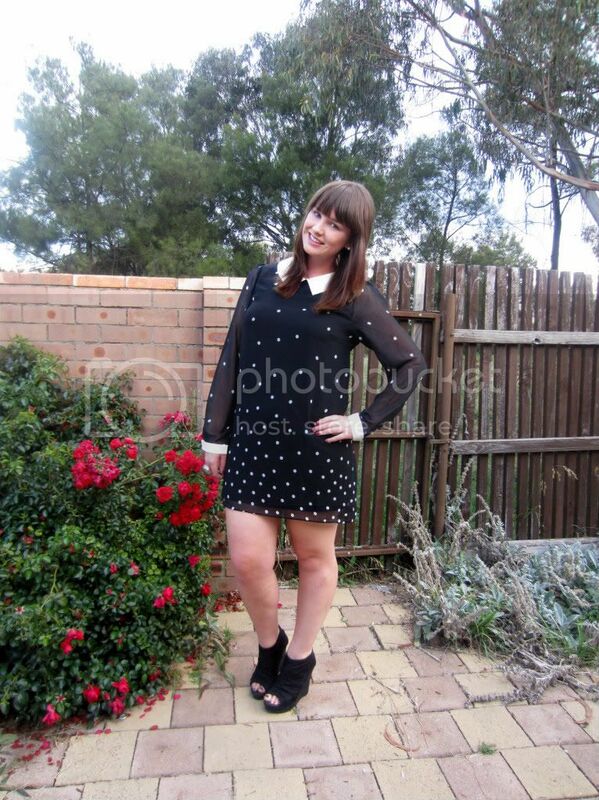 I love this dress from Dotti its so cute. 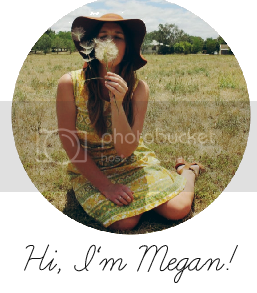 Looks gorgeous on you! im in love with your hair and dress!!! Really love your ring lady! You look absolutely gorgeous. 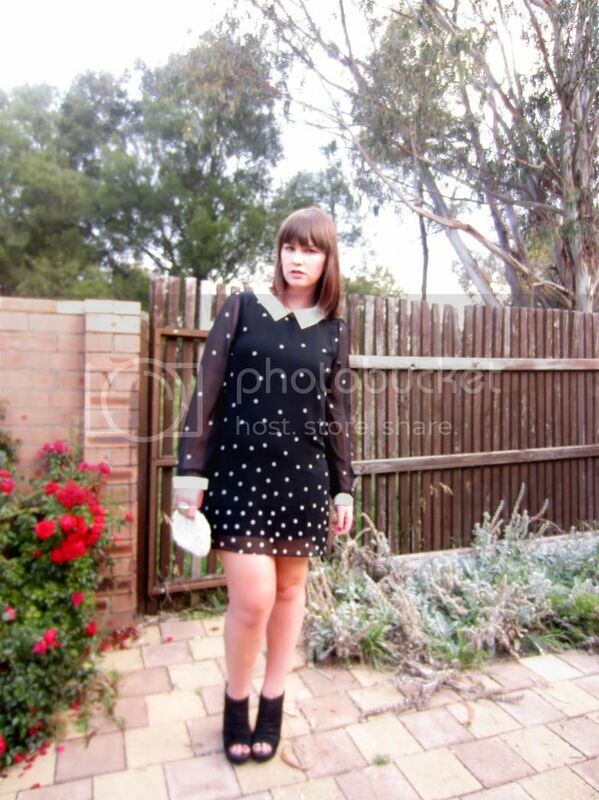 Love this dress and the shoes! Amazing. I really like this outfit! Love the dress and the ring is perfect. That dress is super cute! And I'm with you - totally in love with collars right now. Who would have thought it?